New version of Trizbort released into the wild today. V1.7 has just a few small items in it. You can now open Trizbort files from the web. Ctrl-Shift-O or File -> Open Map from Web (Ctrl-Shift-O) will bring up a small dialog to enter in a URL to the map. Trizbort will download it and open it up. The file can then be saved locally or any other function can be performed on the file. The URL will also be included in the recent files list so you can open it again later. Be aware that if you close Trizbort while the map from URL is open, it will be re-opened again when you open Trizbort if the feature to load the last opened map is enabled. 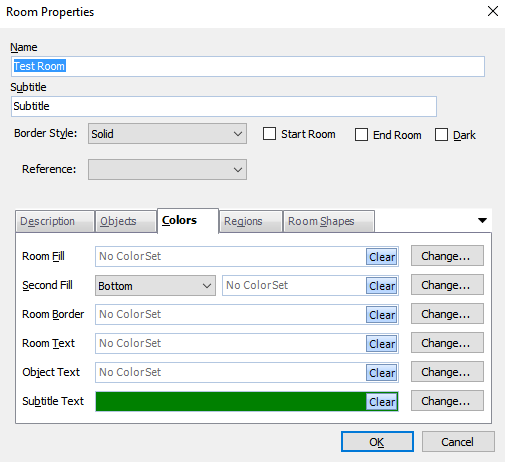 Another small change is to the objects section in the room properties dialog. You can now indicate whether an object is being worn instead of carried. In I7 there is a difference. It is treated as being carried in other languages. This is indicated by putting a [w] at the end of the object text. Also in I7, an object can be a “part of” another object. Again this is indicated by indenting the child object under the parent and adding [h] to the end. Otherwise, it will be treated as being contained by. Again in I7 there is a difference. If other languages handle these as I7 handle them, please let me know as I’m not versed in the other languages beyond the basics. Other than that, there are just some minor bug fixes and code refactoring. If you are running 1.6.1, you have a new option to do an update. Under the Help menu there is an option for Check for Updates. This will detect that v1.7 is available and will prompt you to download and auto-install the new version. Of course, if you prefer or are running an older version, you can still head over to GitHub and grab the latest release zip file and unzip as normal. As always, any problems, questions or comments, please let me know here or over on GitHub. Enjoy! Just wanted to throw out a quick little release with a few quick bug releases. You can find out all about the new version on the release page. Or feel free to download the latest version and unzip as usual (more on a change to the process in future versions below). Nothing too exciting in those a few lingering bugs were fixed and one that was introduced with the v1.6 release that affected the most recently opened maps menu. Sorry for any inconvenience that may have caused. 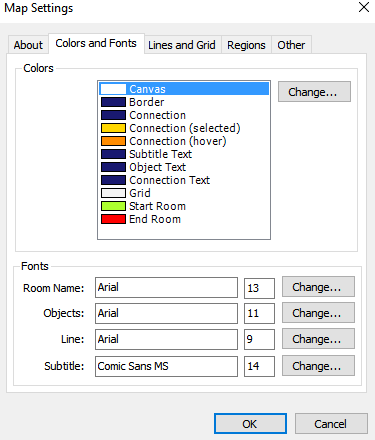 First, room subtitles can now have its own font and color. 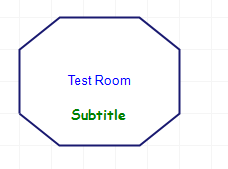 This is another step in my quest to make Trizbort as configurable as possible. I’m working on making it more flexible and at the same time I want to improve the interface to make those changes so it becomes more intuitive on how to make those changes. Secondly, I’ve added a menu under the Help menu to allow the user to Check for Updates. If an update is available, it can automatically download the newest version, install it and restart Trizbort right where you left off. As always, the install is simple, so you can still just download the zip file on the latest release (as you’ll need to do with this version) and unzip it to a location of your choosing. Please let me know if you have any issues (older versions are always available on GitHub if you need them). Any bugs or requests can be put directly on GitHub or feel free to add comments here. Hey everyone, new release today in celebration of Independence Day here in the United States on the 4th. Or really, just an excuse to get a few things that have been lingering in the code into an official release. One feature I’m kind of excited about, but still in its infancy, is the new validation menu. What does this do? Well when checked it will display rooms with a red X over them if it fails any of the selected validations. For example, above we are checking for dangling connections, those connections that are connected to a room on only one side. Below is a portion of a map showing this in action. Why did this come about? I had a user email me asking if something like this was possible. They were actually pulling in the resulting Trizbort map into a yet undisclosed application they were developing and something like this would be beneficial to them to make sure rooms had the features they needed for their software. Currently Trizbort only supports the four validations as shown in the menu. Others are on the table and the thought of allowing the user to define others themselves (for example, looking for certain text in descriptions or room titles) has been kicked around. Trizbort doesn’t stop the user from saving the map or exporting to your favorite supported IF language, it’s purely for informational purposes. Hope people find this useful. As always, thanks for the many users who have found bugs, made suggestions or simply sent a word of thanks for the continuing work being done on Trizbort. A special thanks to Andrew Schultz for his continued testing, support and many pull requests into the code base. A quick little update to fix a few small bugs that were found in the last release. First bug was one introduced in the last version in regards to the Automapper. It seems a new feature I added to handle the EXITS command in a transcript, broke the automapper. I removed that feature temporarily until a proper fix could be found. A second bug was fixed that has most likely been around for awhile where if you imported a map that was created with an older version, one that was created prior to my beginning development on Trizbort, there was a potential that the Inform7 Export code would not be generated properly. Well it appears I’ve failed to update here for quite some time. While movement on Trizbort has been slow in 2016, I have put out two releases since my last post here. If you’re just interested in downloading the bits, head over to http://www.trizbort.com and follow the links. As always, feedback is appreciated. The latest version, released on 1/7/2017 fixed a few bugs, but added one big feature that I’ve found to be very helpful. 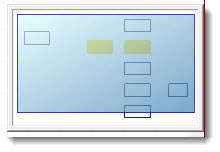 The find feature (Ctrl-F) searches rooms, searching the room name, subtitle, objects and description. If multiple rooms are found they are all highlighted and you can cycle through them using F3 / Shift-F3. The mini-map is updated with the results as well, so if they results are spread out across a large map, you can see where the results are located. Prior to this latest release, another small release was done back in August, but I failed to properly announce it here. This reads in the zork1.txt transcript, runs it through the automapper and then saves the resulting map to zork1.trizbort and then shuts down. This will load the zork1.trizbort map, export it to ZIL format in the zork1.zil file and then exit. Currently Trizbort can export to Inform7, Inform6, Alan, Hugo, Tads3 and Zil formats. Another nice feature here is the addition of doors. 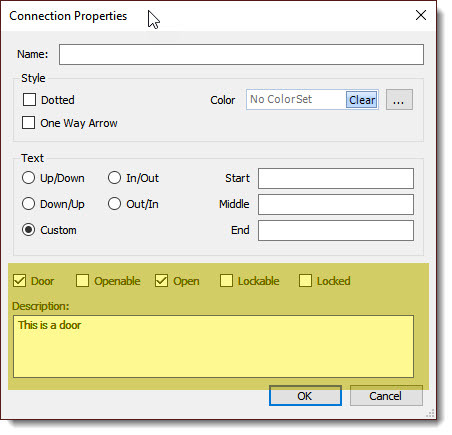 Doors are just a special type of connection so these are setup in the connection properties setting. Currently doors are only supported in the export for Inform7. For full list of these releases or any older release, visit http://www.trizbort.com for full details.